These handmade champagne chalices are just the right thing to toast your next special occasion...or just to enjoy a Sunday Morning Mimosa. Each Champagne Flute is handcrafted on the potters wheel by ceramic artist, Jennifer Lachtara, in four parts, then assembled and decorated with gradiated food-safe underglazes(maroon to tan/gold), and finished with a durable food-safe clear glaze, so each one is unique. The design allows you to easily hold the chalice by the stem, so the heat of your hand will not heat your beverage too fast and the clay acts as an insulator keeping your drink at its most refreshing. 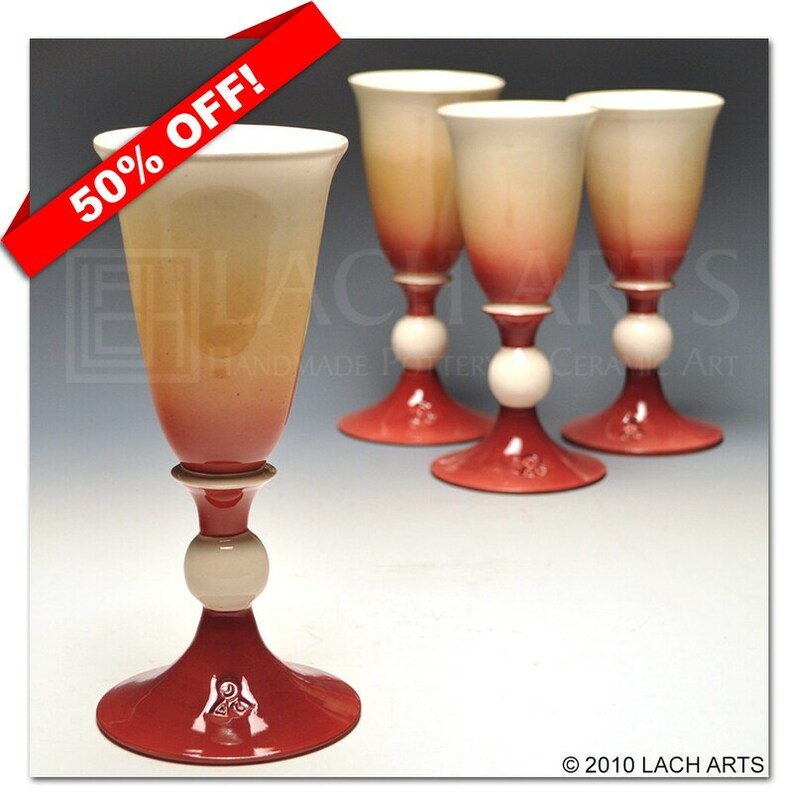 Made from earthenware and fired to 1990ºF, these beautiful chalices are safe for the dishwasher or hand-washing.